Commercial Street was a 2-lane asphalt roadway with no pedestrian facilities on either side. The roadway was experiencing subgrade failure (alligator cracking), and had a PCR rating of 32. 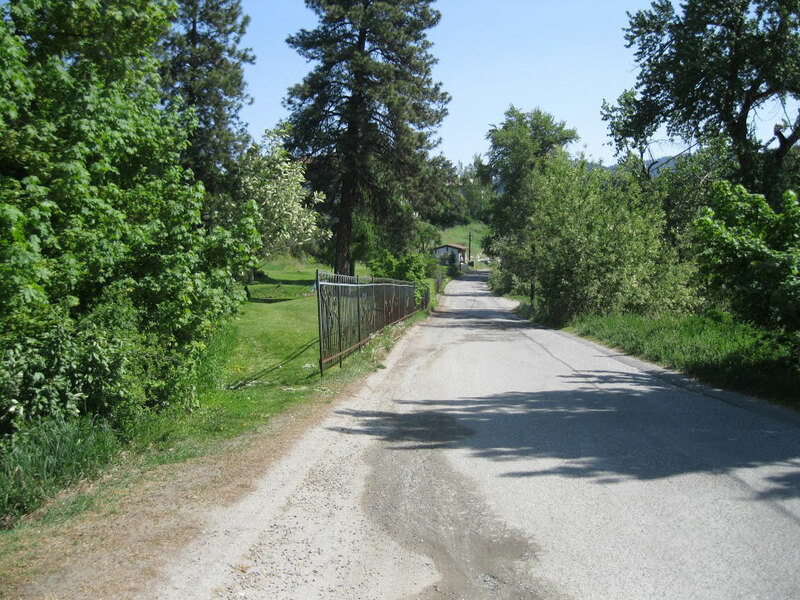 Many segments of this roadway did not meet the minimum roadway width for emergency vehicles. There was not adequate sight distance for pedestrians or traffic. Pedestrians walking between parks or to the downtown businesses from hotels walked down the middle of the road. 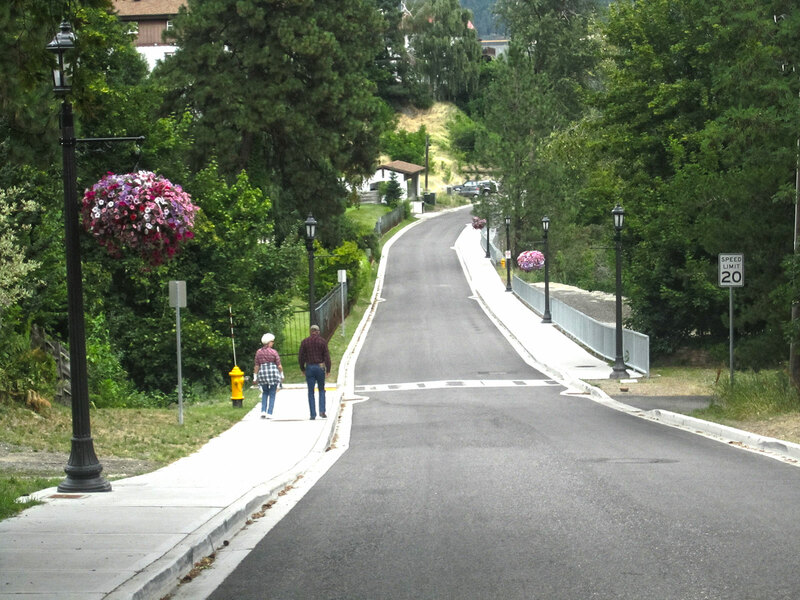 The transportation design project increased the roadway to 20 feet, added curb, gutter, and a 6-foot wide concrete sidewalk (partially heated), street lighting on the south side (Wenatchee River side), and improved stormwater drainage. 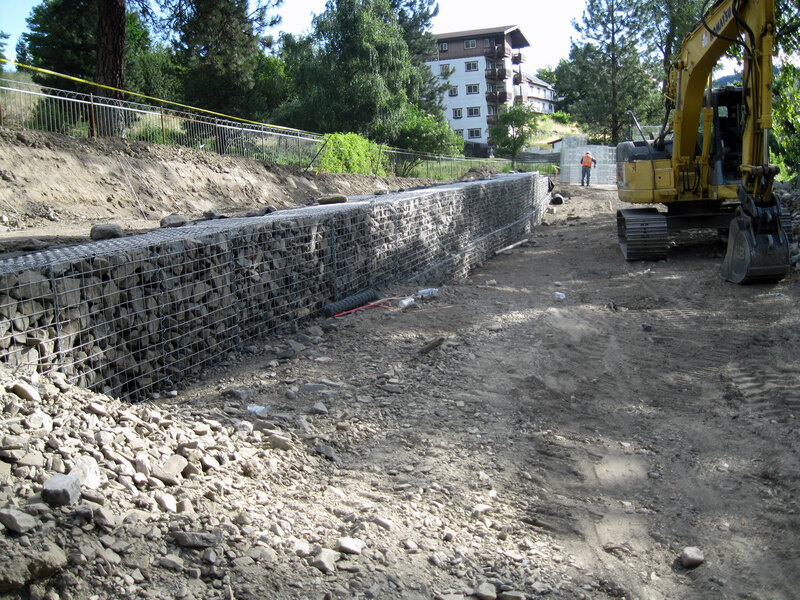 TD&H Engineering’s services also included traffic analysis, three gabion-basket retaining walls and handrails for pedestrian safety to prevent embankment encroachment into the Wenatchee River, and construction administration and inspection. 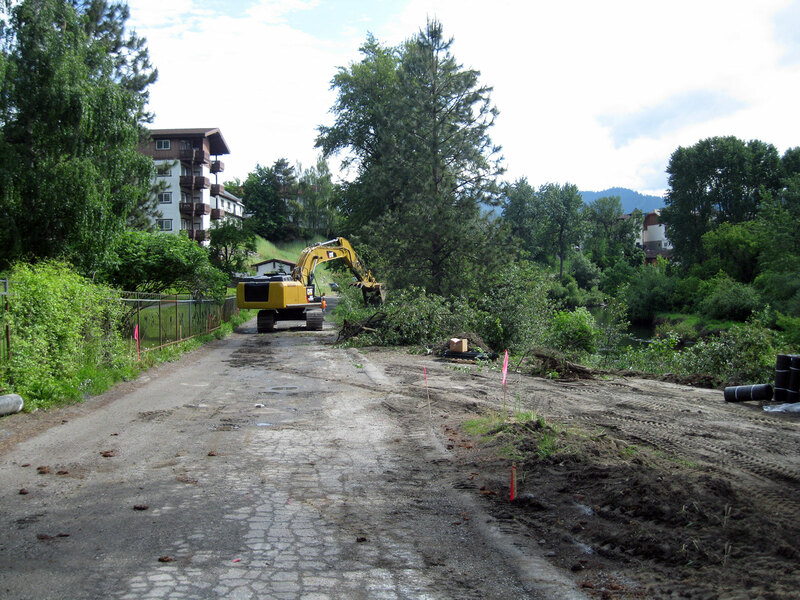 Stormwater drainage improvements included a 2%-4% roadway crown for proper drainage. Curbs and gutters were installed on both sides of the street to channel the stormwater into existing stormwater drainage system. Additional catch basins were installed to correct localized flooding of the street. TD&H Engineering engaged public involvement throughout this project.